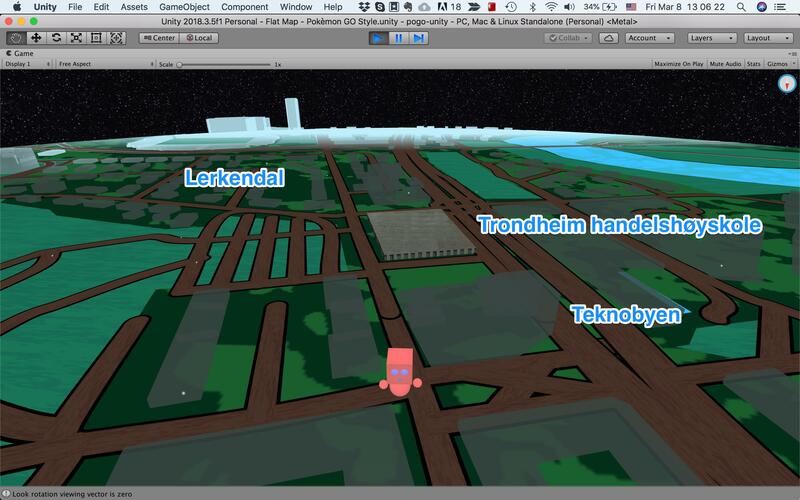 The Hackerspace mobile game team is currently working on a position-based socializing game which, if everything goes as planned, can be rolled out and used during the 2019 initiation period (fadderuke) at NTNU. Our goal is to create a mobile game that makes it easier for new students to get to know their peers as well as the area around campus in a fun and inclusive way – in addition, of course, to being an entertaining new activity for old friends who already know both each other and the city. The game draws inspiration from Ingress and the party game Mafia, and players will be able to scheme and strategize their way to the leaderboard by challenging and killing their rivals, making and breaking pacts, doing missions and a lot more. Everyone will get to choose their team (or rather, family, since we’re doing mafia), and can go on to represent that team in the game. Challenges and missions will take the form of mini-games that the players can both issue to their rivals and complete to move forward. We have chosen a dark and somewhat gloomy graphics theme which is, of course, still being improved on (see below). We are using Firebase Realtime database in conjunction with cloud functions in order to ensure reliable and fast game interactions and updates. This means that we must depend on a NoSQL database instead of the good old SQL databases most people might be used to; this is an interesting new experience, and it brings forth new types of challenges for our backend team. the game itself is written in the unity game engine, which helps with speed and makes it easy to develop for multiple platforms at the same time. We also have access to multiple community-created assets, which is great because none of the current team members are experienced artists. Our team is working steadily towards creating a prototype in which we can both see real-time positions and interact with each other through the game. There is still a lot of work left if we are going to keep up with our projected timeline, but developing the game is a fun experience for us and we believe that the end result will be well worth the work.